Our Fall Dinner was sponsored by Brown-Forman at The Union League Club on October 26th, located at 38 East 37th Street. We were privileged to have as our honorary speaker Steve Wilson, philanthropist, art collector and co-founder of 21c Museum Hotels with his wife Laura Lee Brown. 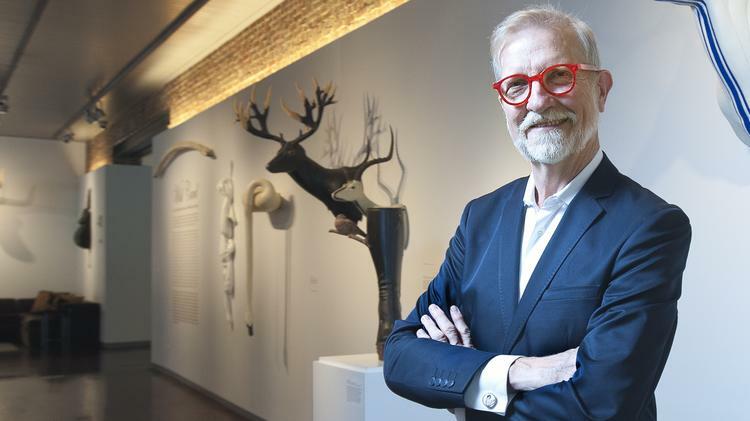 Steve and Laura Lee opened the first 21c Museum Hotel in Louisville with hopes of revitalizing the cities art scene, which it did, and more. It created a national spotlight and now there are seven hotels across America and three more under development. When he’s not meticulously overseeing each hotel or next potential location, he’s flying around the world in search of the next piece of art to display in them. The 21c Hotels are public institutions that showcase work from today’s emerging artists. Each hotel has its own unique focal point and collection of contemporary works of art that Steve selects personally. Aside from being a successful entrepreneur and legendary art collector, he’s a very passionate philanthropist and we were delighted to have him as our honorary speaker. Click the link below to be redirected to the picture page.